I had such a great time on Saturday at the always beautiful Sherwood Country Club working with Kristine and Ronnie. 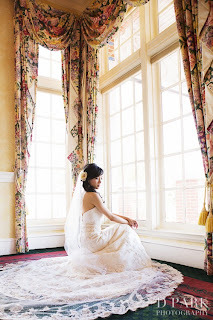 As you can see from the sneak peek photo above, Kristine was a GORGEOUS bride! The fabulous David and Drexelle from D. Park Photography were amazing to work with. I can't wait to see more! More photos and full vendor list coming soon! Danita en Willem, Dit is stunning!! Stunning Foto's van Stunning mense. Die troue was great en ek hoop julle kom kuier gou!LiefdeRudi en EllenAnnemari Jy mag maar fotos neem! Hey there, I just hopped over to your site via StumbleUpon. Not snothimg I would generally read, but I appreciated your thoughts none the less. Thanks for making some thing worth reading. This article gives the light in which we can obvsree the reality This is a really good read for me. its really very good post. Thanks for posting this informative article.